On Saturday, Columbia, Maryland, tragically joined the ranks of cities across the country that have experienced shootings and murders in public places. We begin our week with a look at that terrifying act, with: Carrie Wells, Higher Education and General Assignment reporter for the Baltimore Sun; and Howard County Executive and candidate for Lieutenant Governor Ken Ulman. something in killers’ journal abt hatred of certain groups- will we hear abt that? 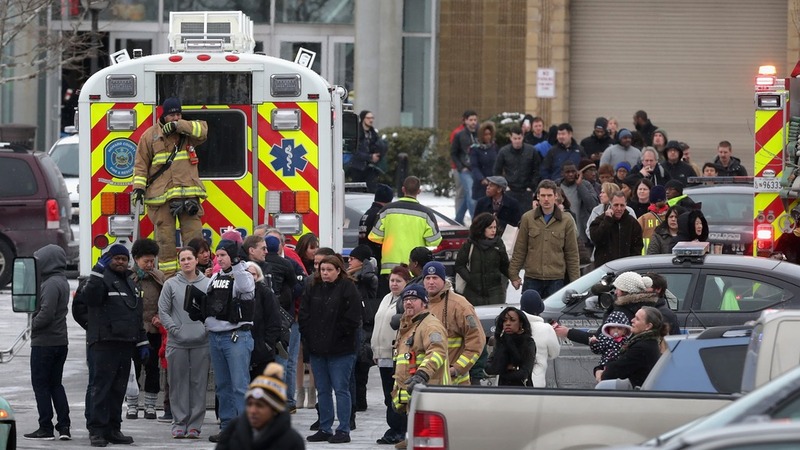 1/26/14 Unfortunately, after the Columbia mall shooting, the media will not cover the shooting well and, in my opinion, will enable further shootings by imprecise and shallow coverage. Where was the gun purchased, the ammo, what are the gun laws in Md that could make such incidents less likely- why are the ones already in place not enforced, and so forth? Not one reporter has stated that had Md’s assault weapon ban not been in place- the carnage would have been far greater. I see the media as as cowed by the gun lobby, if indeed they are not in favor of guns themselves, as are politicians- and both almost as much to blame as the shooters in that a do nothing atmosphere prevails. Go interview one of Md’s top gun pushers- Sen. Nancy Jacobs who represents Cecil and Harford Counties. But no- a namby pamby, nothing but the facts approach is taken. Del. Smigel is also especially responsible for Md.’s carnage. Or…interview Vincent De Marco of Marylanders to prevent gun violence. But the media will ask, What color shirt was the shooter wearing? More questions could be asked of the parents. I would go so far as to ask- who sold the gun? Kudos to the Sunpapers for interviewing the dealer- Dan Miller- in Rockville- who feels “sad”. Maybe it will bring more shaming to him, richly deserved in his awful trade, He acts as if he did nothing wrong- but he did- he sold a gun that killed three people! Who made it (beside Mr. Mossberg). To me they are also responsible and every gun should be marked so its maker be known. Unlike reporters and editorialists, I like to connect dots. One “expert” commentator on Channel 13 suggested the formula “run and hide” during such shootings which is exactly what the media and politicians do regarding necessary gun control. The community does NOT pull together, as the County Executive put it, after these shootings. It returns to same old heads in sand as before- abandoning its children to the next shooting by doing nothing for tighter gun control.